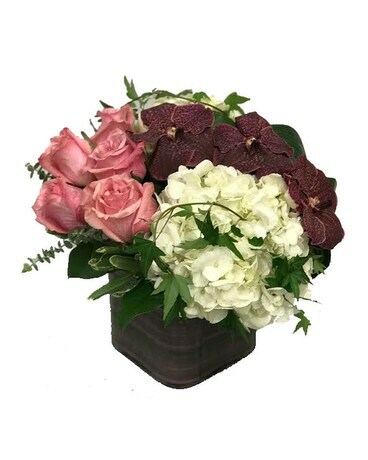 A soothing modern design created with clusters of roses, orchids, and hydrangea. Finished off with specialty accents, greenery, and grasses this arrangement is featured in a clear glass rectangular vase. 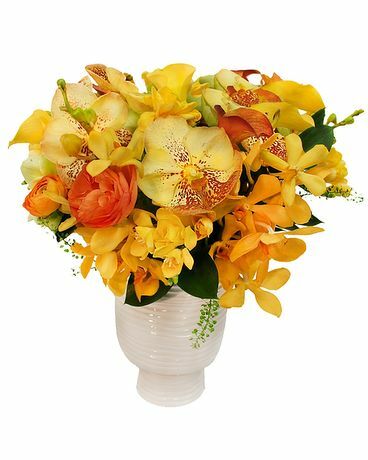 Substitution policy: depending on availability, we may need to make some changes to the flowers or container but will never compromise the design.